What Will Destroy Your Care Plan? When an aging professional or care manager, put together a care plan they have to understand what might tear it apart. Often unstated, the car plan must address the underlying issues of family caregiver burn-out, guilt, anger, financial agendas and threats/challenges to the well-being of those involved. Without considerations to each individual’s stake in the plan, the implementation may never occur. This does not mean you are a mind reader. This means you have spent years learning a whole family approach and can see both the older person’s and the caregiver’s needs, stated or not stated. For Mrs.Sterling, her primary needs included help (16)with a bath and having food brought to her. She thinks of course here daughter Jane can do this on her way home from work. Mrs. Sterling, of course, needs much more care as she had a broken hip and has had falls. But Jane was her “ dutiful daughter so Mrs. Sterling counted on her being there every night. For Barbara, her primary needs included having someone with her mother to help avert another fall,; and to make sure her mother is eating, and to monitor that her mother’s hygiene is maintained. Barbara also does not want to continue neglecting her husband and son by coming by her mother’s every night after working all day at her law practice. 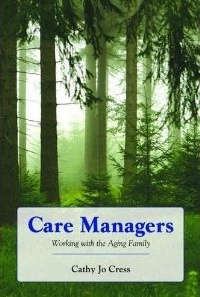 MSW, LCSW, CMC, both highly expert care managers, created a seminal chapter on the Tools that a care manager or geriatric social worker need to work with aging families in my book Care Manager’s Working With the Aging They cover these CORE skills in that chapter, including how to see a care plan may be blocked. 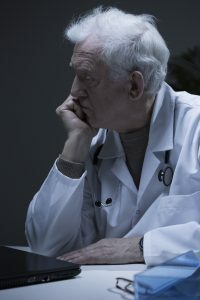 Concierge Physicians and geriatric care managers have much in common. They both serve the top 10%, both are a business, both mainly serve the elderly and wealthy and both take health care into the world of profit. Here is an NYT article today, Concierge Physicians and geriatric care managers have much in common. They make house calls have small practices and spend time with a patient like an old fashioned doctor. I will be doing a webinar on this in August. Do You Know The Core Skills You Need to Work With the Whole Aging Family? Geriatric care management tools or an aging professional’s tools fill up an entire toolbox. They are like tools in a carpenter’s toolbox- a hammer, drill, saw and architectural plans. One of those tools, a very potent one that will make your care plan hold up, is the ” Core Skills”. Care managers and geriatric social workers partner with seniors and their family caregivers to implement the recommendations and provide on-going monitoring of the plan. They bring to the relationship a unique set of CORE skills that help family caregiver achieve greater success in their roles. Family caregivers often describe feeling “stuck” which adds a new sense of stress to an already overbooked mind. Care managers often serve as a “container” in which the family caregiver can deposit some of these uncomfortable feelings. For family caregivers, knowing that there is a care manager accessible, with whom they can talk and who will respond with empathy, can help relieve some of the burden and stress. In order to contain the anxiety for their clients, active listening techniques help care managers stay focused. This technique involves listening with a purpose. It is used most effectively to gain information, understand others, solve problems, see how another person feels, or to show support. Using specific phrases to clarify, encourage, restate reflect, summarize, validate, and empower help the GCM to stay engaged in a meaningful way.